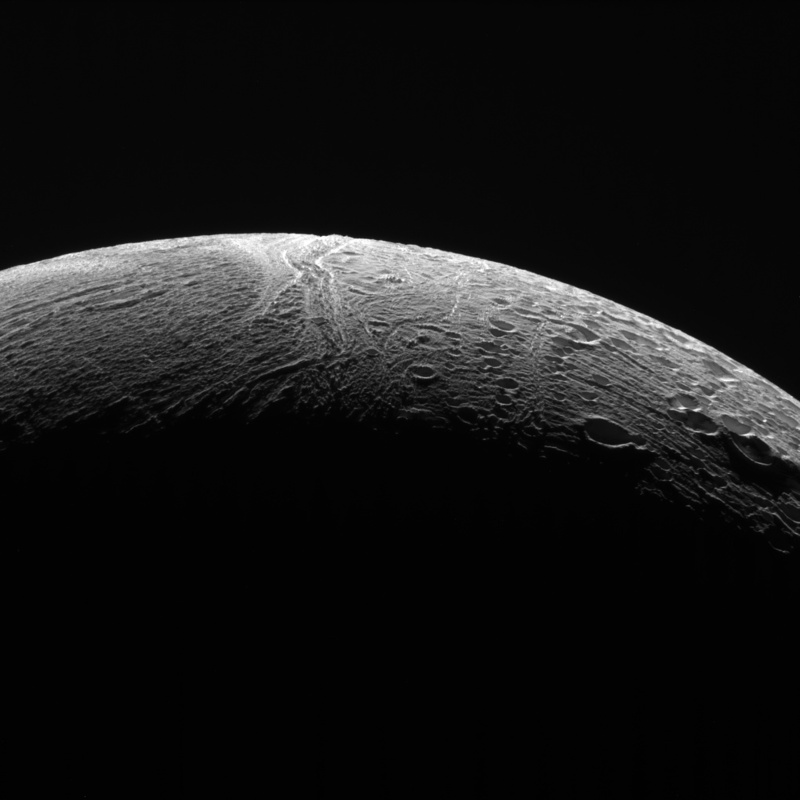 Dec 21, 2015: Frozen Fractures - During its final close flyby of Saturn's moon Enceladus, NASA's Cassini spacecraft captured this view featuring the nearly parallel furrows and ridges of the feature named Samarkand Sulci. 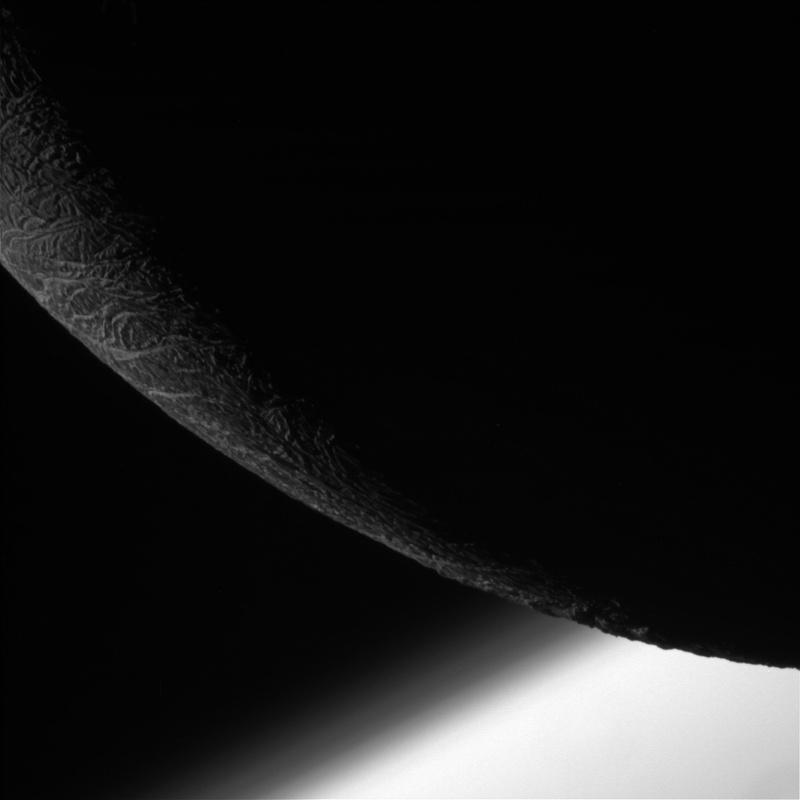 Dec 21, 2015: Ice and Atmosphere - NASA's Cassini spacecraft paused during its final close flyby of Enceladus to focus on the icy moon's craggy, dimly lit limb, with the planet Saturn beyond. 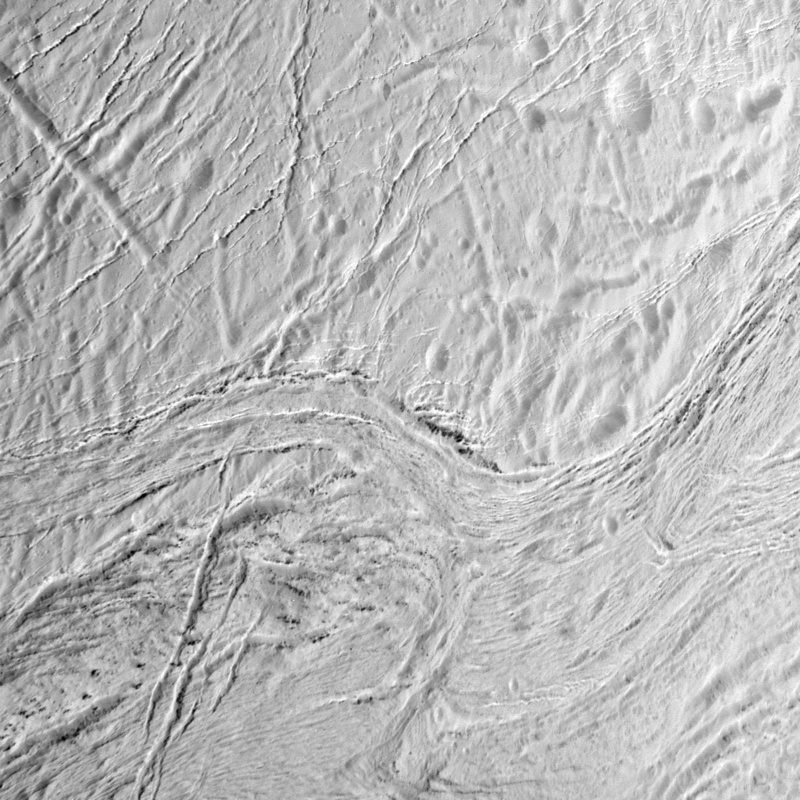 Dec 21, 2015: Features of the North - NASA's Cassini spacecraft peered out over the northern territory on Saturn's moon Enceladus, capturing this view of two different terrain types.